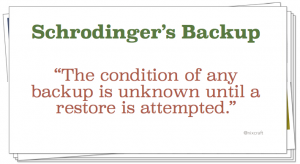 Hence “are you doing restores?” is a better question over “are you doing backups?”. Pretty interesting and insightful article from Washington Post how baby carrots reshaped carrot industry back in 1980s: Baby carrots are not baby carrots. Just cutting carrots into 2-inch pieces made so much difference that baby carrots are now responsible for almost 70% of all carrot sales. Not to mention more than doubled per capita consumption of carrots between 1985 and 1997. At first, Yurosek used a potato peeler, which didn’t quite work because the process was too laborious. But then he bought an industrial green-bean cutter. The machine cut the carrots into uniform 2-inch pieces, the standard baby carrot size that persists today. In 1987, the year after Yurosek’s discovery, carrot consumption jumped by almost 30 percent, according to data from the USDA. By 1997, the average American was eating roughly 14 pounds of carrots per year, 117 percent more than a decade earlier. The baby carrot doubled carrot consumption. What’s more, moving the peeling process to the factory has allowed the carrot industry to make use of the scraps that used to end up in people’s trash bins. Another story for engineers to show what happens when a problem is solved by someone so distant from the real production environment. The best part is that with right incentives the solution comes naturally. Understanding how important that was, the CEO of the toothpaste factory gathered the top people in the company together. Since their own engineering department was already stretched too thin, they decided to hire an external engineering company to solve their empty boxes problem. The project followed the usual process: budget and project sponsor allocated, RFP (request for proposal), third-parties selected, and six months (and $8 million) later a fantastic solution was delivered — on time, on budget, high quality and everyone in the project had a great time. The problem was solved by using high-tech precision scales that would sound a bell and flash lights whenever a toothpaste box would weigh less than it should. The line would stop, and someone had to walk over and yank the defective box off the line, then press another button to re-start the line. A short time later, the CEO decided to have a look at the ROI (return on investment) of the project: amazing results! No empty boxes ever shipped out of the factory after the scales were put in place. There were very few customer complaints, and they were gaining market share. “That was some money well spent!” he said, before looking closely at the other statistics in the report. The number of defects picked up by the scales was 0 after three weeks of production use. How could that be? It should have been picking up at least a dozen a day, so maybe there was something wrong with the report. He filed a bug against it, and after some investigation, the engineers indicated the statistics were indeed correct. The scales were NOT picking up any defects, because all boxes that got to that point in the conveyor belt were good. $8 million vs $20 Hmmm! Money well spent? one of 16 shades of darkness, from snow white to coal black. become more sophisticated, they will demand more capabilities. solution to the problem. First, create a class of breakfast foods. Specialize this class into subclasses: grains, pork, and poultry. is plugged in, users should see a cowboy boot on the screen. and has a built-in GUI, writing the program will be a snap. P.S. 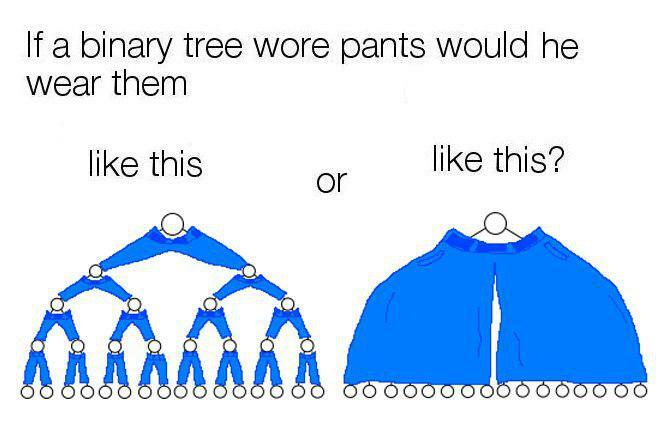 : no wonder microservices are getting so popular. Pretty interesting and insightful article on Priceonomics blog on how TLD can correlate with a complex situation in the real world. It was also decided that some top level domains would correspond to the geographic location of a computer. These are known as country code top level domains. The first of these country code TLDs were: .us (US), .uk (UK), and .il (Israel) in 1985, followed by .au (Australia), .de (Germany), .fi (Finland), .fr (France), .jp (Japan), .kr (Korea), .nl (Nederlands) and .se (Sweden). All the countries the International Standards Organization listed in the ISO-3166 got their own domain, provided there was an appropriate entity to claim authority over it. The government domains are distributed between the two parties and it depends on who has the password which allows them to change the details of the domain. The nation of Tuvalu licensed their suffix, “.tv”, to Verisign in exchange for $10 million up front, and $2.2 million annually. That annual fee makes up about 10% of the small island government’s total revenue. Tuvalu’s government has literally paved their streets with domain name money. Britain’s history of colonialism over the 1,000+ tiny islands that make up the British Indian Ocean Territory is complex, and it isn’t clear where the registry money is going nor whom it benefits. Pretty amazing how this springer spaniel is trained to help those lambs. Not only Toastmasters International 2015 winning speech but also a powerful message by Mohammed Qahtani. Part 2 of the animated video describing Spotify engineering culture is finally out! Also check out part 1 first if you haven’t already seen it.